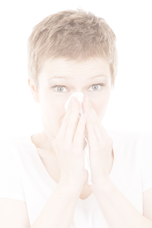 The Natural Elimination of Allergy Treatment (NEAT) is a safe and effective way to rid your body of sensitivities. A blunt brass probe measures conductance of the skin on a specific acupuncture meridian. The EDS 2000 device will test the energy of the body in micro amps using Electro Dermal Screening (EDS). This testing allows a baseline of energy to then test various objects against. Any item that lowers the body’s energy output is set aside in a holding tank. Using physics and energetic imprinting, a vial of low potency “kryptonite” is created based on the holding tank of offending items that lower the body’s energy. By using principles of acupressure the body is then cleared with a series of taping along the spine aligned to the UB meridian in Chinese medicine. The NEAT protocol “reboots” the body, allowing it to not react to a particular sensitivity and thus creating normalized immune function. The offending items should be avoided for a complete 24 hour cycle of TCM meridians to allow for a full “reboot” of the body. Why it is NEAT: Naturally, it’s cost-effective, safe, painless, needle free, fast, & low maintenance. After establishing care with an initial new patient visit, the full series of 4 NEAT sessions can be scheduled approximately 1 week apart. In order to decrease undesirable sensitivities, a healthy gastro intestinal barrier must be restored for proper immune function to occur. This process must be analyzed and treatment plan appointed prior to the first NEAT session. Visit 1. INHALANTS. pollens, dust, airborne agents, “breathe-ables”. The patient will bring in vacuum contents from the inside of home and a “pollen trap” from their outside grounds. Visit 2. MOLDS & CHEMICALS. A myriad of chemicals are tested including all toiletries & cleaning products from the patient's home. Visit 3. FOODS. All are tested. Foods from home are brought in, particularly items that the patient may eat regularly. Visit 4. “CLEAN UP” a retest of all previous sections. This session will be repeated in 1 month, then as frequently or infrequently as needed. Ideally, every 3 months is recommended as long as gut heal and adequate barrier function is maintained. At each subsequent session the patient is checked via kinesiology and muscle testing to confirm that the previous clearing has been held before continuing to the next section.